Fill our ball pools with this set of mixed color polyethylene balls! 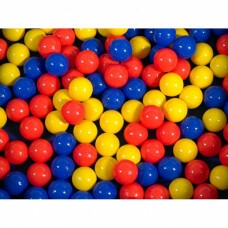 Assorted colors include red, yellow and blue. Balls measure 2.75" in diameter.